It was just a regular day in a Las Vegas gym in December. Guys dressed in shorts and T-shirts sprinted up and down the court, hitting jump shots and working up a sweat. Vinicius “Viny” Lima was looking to get in on the action, and was soon drafted for some time on the court. A poker player with a few skins on the wall, the 24-year-old was always looking to get better on the felt and the court. Coincidentally, the team he played on that night was headed up by Scott Blumstein, the 2017 World Series of Poker Main Event champion. “I needed to pick up some players and he came over and we had a conversation about playing poker,” Blumstein says. “He asked me if I played poker, but the whole time I think he kind of knew. The two players quickly clicked, and Blumstein believed his new friend was a solid poker player. Four months later, those conversations helped lead to Lima adding his name to the Champions Cup at HyperX Esports Arena here in Las Vegas. Here he is indeed. Lima becomes the newest member of the Champions Club after topping a field of 1,415 to claim he WPT Borgata Winter Poker Open title for a top prize of $728,430, a $15,000 entry into the season-ending Baccarat Crystal WPT Tournament of Champions, and a Hublot Big Bang Steel Watch. 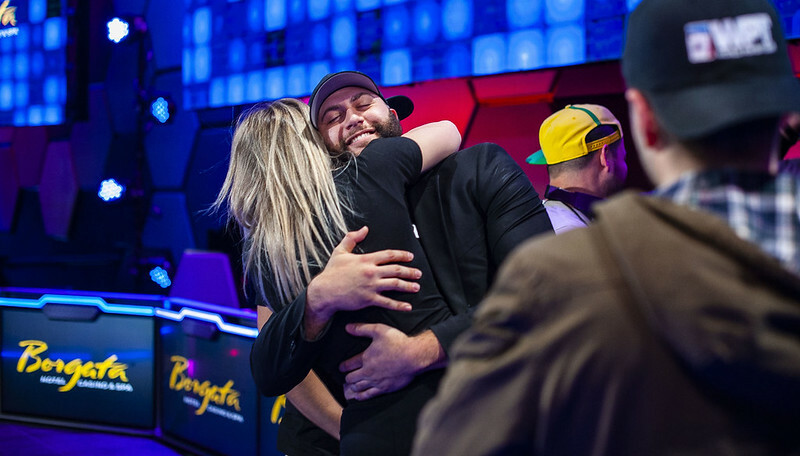 Lima credited a boisterous crowd in the arena for helping him overcome being on a short stack, and then battling back for the title in an epic final table that lasted 236 hands and spilled into the wee hours of Thursday morning. The Lima rail stayed vocal and loud throughout the extensive final table, and Lima says that kept his spirits high. Lima previously worked in medical sales, but began playing poker full-time a few years ago and now lives in Las Vegas. While he had two months to prepare for the final table, he instead focused on physical fitness and mental stamina. He attributes that helping him persevere at a final table that lasted about 10 hours. While Lima and the Blumstein talked some about poker, Blumstein didn’t offer too much mentoring or advice and credited Lima’s stellar play at the tables leading him to victory. This win smashes Lima’s career lifetime earnings of $263,186. 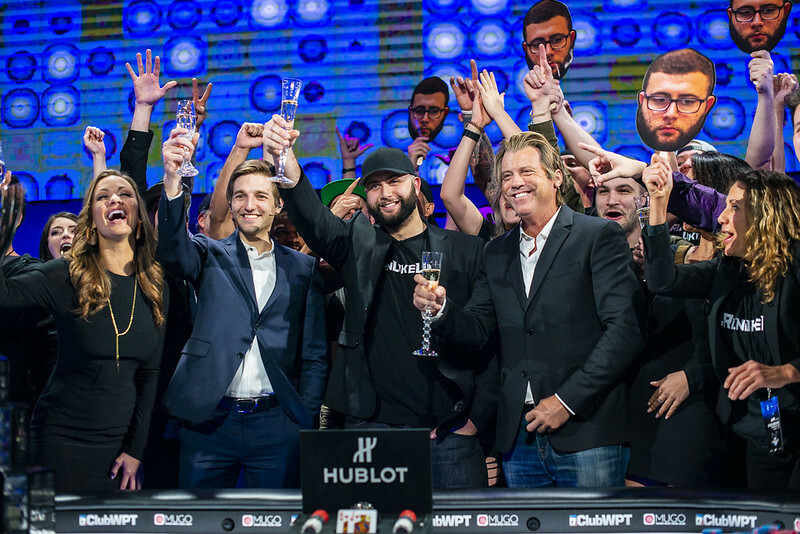 He’s now won on one of poker’s biggest stages and plans on playing more WPT events in the coming months. While Lima was on the short stack in Vegas after making the final table in Atlantic City in January, but remained determined. Blumstein knew his friend had the poker chips to come back and take the title. Lima says the relationship with Blumstein has worked out well beyond just talking poker. 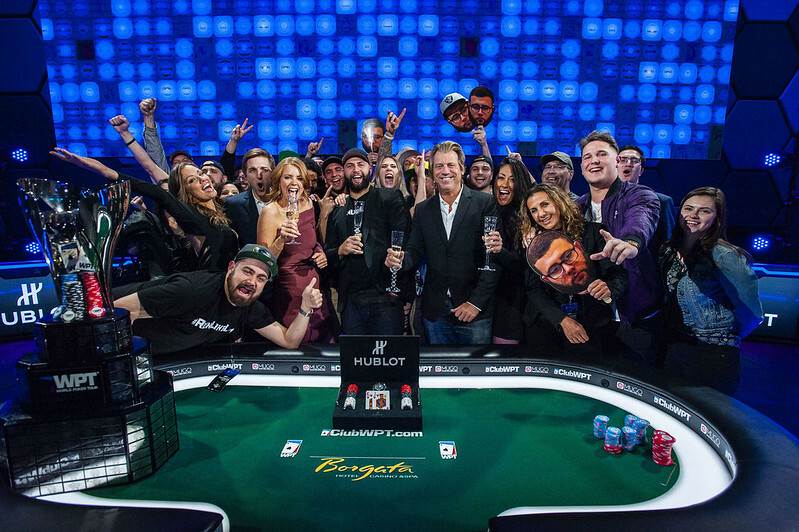 They both now share some esteemed company as WPT and WSOP Main Event winners.